Electrical Installation Condition Report (EICR) – Fixed Wire Testing. Epica Health & Safety Win Female led Business of Year Award 2018. We are proud as punch to announce that 2018 shows continued success for Epica Health & Safety’s Director Elizabeth Sinclair. Epica Health & Safety won the female led Business of Year Award 2018. Epica Health & Safety goes from strength to strength. 2017 was tremendous year for Epica Health & Safety, with new concepts such as SafetyMate™, vital contributions to national awareness campaigns, and nominations for major awards within the Liverpool business community. After Elizabeth Sinclair, Director of Epica Health & Safety, was nominated for the Business Personality of The Year Award at the recent Livercool Awards, she was then nominated in the prestigious Business of The Year category at the Women in Business Awards, held by Downtown In Business Liverpool. 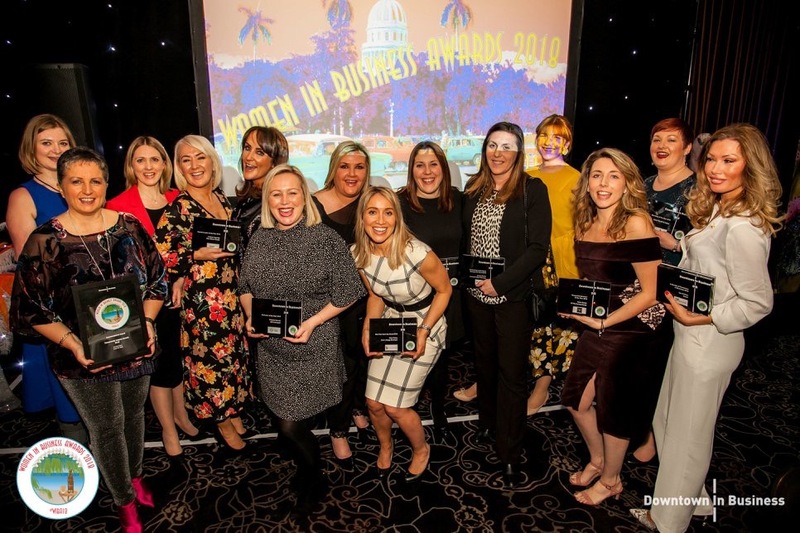 Over 350 guests celebrated the achievements of female entrepreneurs and business leaders from across the Liverpool city region at the sixth annual Women in Business Awards. The gala dinner which took place at Liverpool’s Crowne Plaza Hotel on Friday 9th March handed out 15 awards in total. Elizabeth Sinclair said, “Stunned, overwhelmed and hugely excited about what could happen next, pretty much summed up my emotions on evening! “I had absolutely no idea we had won. I was still unsure after hearing the company name read out. It wasn’t until the guests on our table started to scream, and I mean scream, did I realise we had really won the female led Business of the Year Award. Elizabeth Sinclair, Director of Epica Health & safety set up the business in 2009. Under Elizabeth’s leadership, Epica Health & Safety continues to make health and safety simple and straight forward for their clients. Services continue to develop too, in the last 12months they have added SafetyMate™ a health and safety web application for client use and an ELearning arm to their health and safety training services.